A traditional Northern Chinese street crepe, folded in to a sandwich, typically served on the back of a bicycle cart. The crepe is a mung bean, rice & wheat flour batter, coated with scrambled egg, sesame seeds, scallions, hoisin sauce, crispy chilli paste, cilantro, crunchy wontons... and filled with either Duck, Chicken, Beef, Kimchi... or just keep it vegetarian! 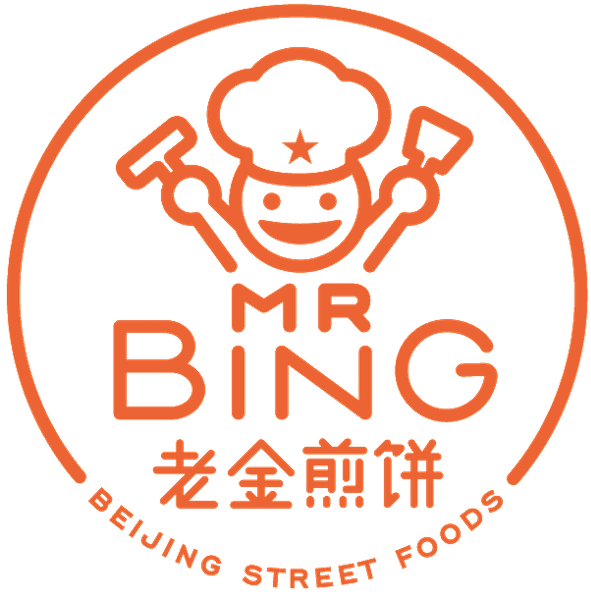 Mr Bing offers fun, fresh & hot food for your parties & corporate events: Beijing street crepes — Jianbing 煎饼 — delivered hot, or freshly made in front of your guests!